DEMANSION SIZE: 2.5inch 2.9inch and 3.3inch. 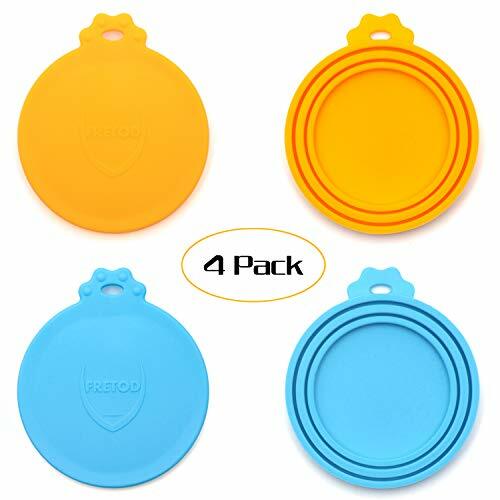 These fours can saver lids will work for your normal dog and cat food containers. You never want a can lids that will not stay on and cover tightly for those containers. We have tested it as the cover of mug that is full of water. And the most amazing things is, there is no leaking of a drop of water at all! Easy to lock, all you have to do is lightly press lid in place. And with the help of convenient pull tab for removal, you can release them from the cans. ​Our silicone lids was made under 60°C to ensure its durability and flexibility. The cleaning process is easy too! After wash it, just dry it on the shelf.